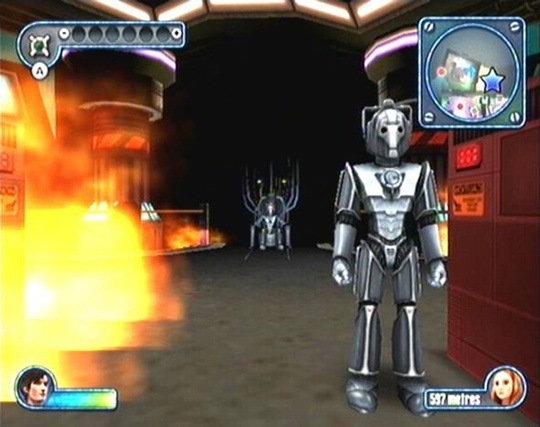 Review Doctor Who has not fared well on Planet Videogame. So many titles been merely mediocre or just plain crap, often barely connected to the TV series and pumped out by publishers keen to cash in on the brand with minimal effort. There are a few exceptions, most notably Admiral Software's Dalek Attack a rather good platformer that merged mythos and established game mechanics with gorgeous graphics - cute in the way that only early 1990s 8-bit imagery can be - into an offering that was genuinely fun to play. But for every Dalek Attack there have been countless efforts like the Destiny of the Doctors. Asylum Entertainment's latest offering, Return to Earth is no Destiny of the Doctors, thank Rassillon - it was responsible for that dodo too - but when you're standing on the shoulders of midgets, you still can't reach very far. The game kicks off with an animation-rendered version of the most recent TV season's opening titles from which the story proceeds at episode-like pace. 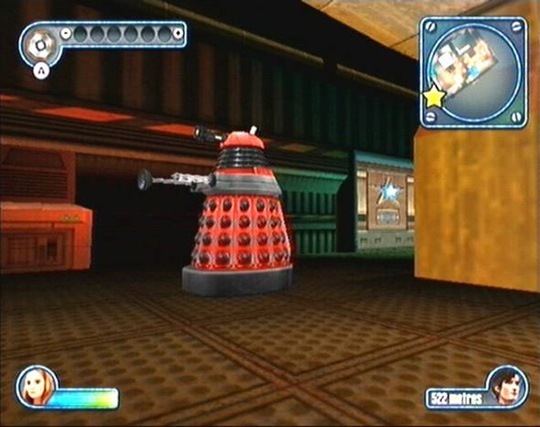 After landing on an apparently abandoned star-liner, the Doctor and Amy Pond are separated almost immediately, and the game focuses on their attempts to locate each other, work out where the crew and passengers have gone, and who's behind it all. No prizes for guessing the villains - both Daleks and Cybermen appear on the box art. The first two chapters are perfunctory introductions to the control systems - move with the Nunchuk, with the Remote serving as a stand-in sonic screwdriver - that fly by. The game proper really starts with Chapter Three, the first to be broken into sections separated by checkpoints.